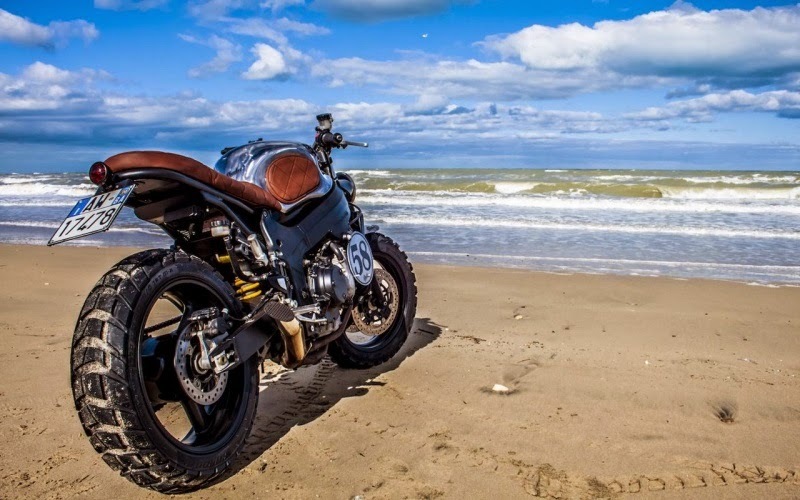 Triumph TT600 Modification By Shaka Garage. Basically, the TT 600 at Triumph is a sport that had its heyday in the early 2000s, but once past the workshops Shaka Garage, sport is transformed. Based in Bari, on the Adriatic coast (Italy), Shaka Garage is a trainer who loves major challenges. 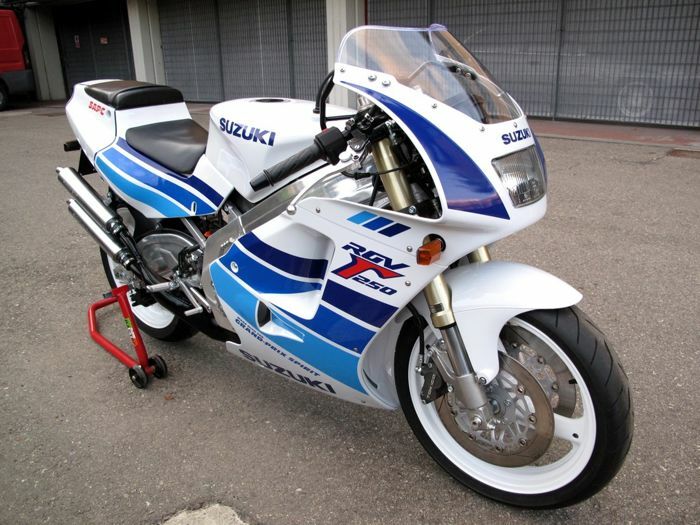 For the occasion, and having set his sights on sports TT600 home Triumph - a 2000 vintage shabby - the Italians artists have just completed the exposure of the whole. 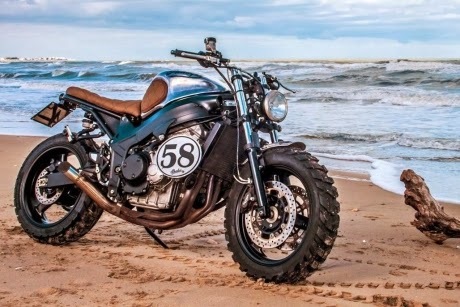 If at first, Garage Shaka had the idea to make it a Café Racer, the project has somewhat ripped to become a Scrambler (that is, it seems fashion ...) called "it Rimorchiatore" literally tow ... By the admission of the preparer, no special work was done at the cycle parts. Only the driving position was reviewed by mounting a handlebar reworked course. However, and as you can see, the tank (polished grips with full-grain leather knees) and the rear part was all the attention. Much work was needed to review the course of harness. 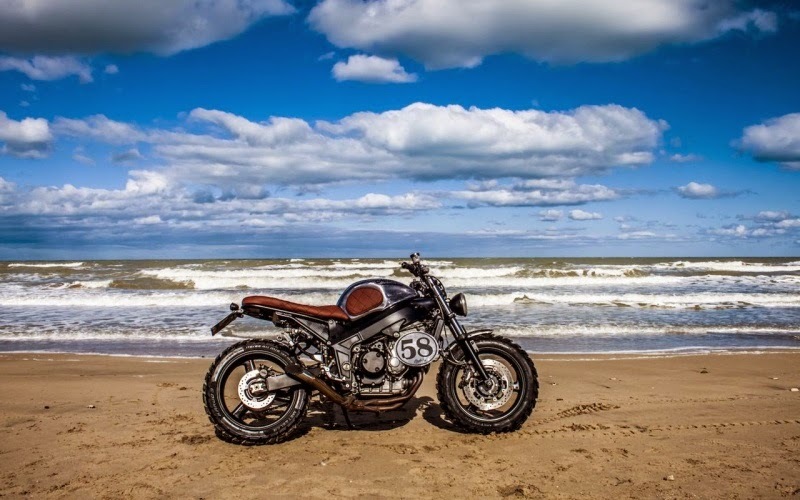 In addition, the Triumph TT600 "he Rimorchiatore" receives illumination LEDs in the rear, a custom front end, a custom exhaust system, and a pair of tires for large studs. Then sometimes you are interested in you get, know that Shaka Garage is about to part. On this occasion, it will ask for € 5,800. Reasonable, is not it?